So my 2015 C63 just had a recall done that apparently required reprogramming the engine management unit. The recall number on the invoice was 4911. Any ideas that that recall achieved? I just made an appointment to bring in my 2016 to take care of some rattles and buzzing panels and was notified of a new campaign 2019020003 issued in February of this year which is a new ECM program. I asked and the service advisor had no info. I plan on inquiring some more about it when I'm there. After reading this thread I made an appointment for the ecu/tcu updates tomorrow as well. I’ll report back with noticeable differences. So the recall is the 2019020003 number and it’s an ecu/tcu software update that takes about 30-40 mins to flash. The 4911 the op mentioned is just a billing reference number on his invoice, not an actual recall number. I’ll report what I notice after I drive it around, but hopefully like another member mentioned in a different thread, it will drive like a completely different car with quicker/smoother shifts. Yes, I was the one who reported it and just found out today that was an upgrade to the engine management software. I look forward to reading your feedback. The only recall I remember had something to do with passenger side airbag indicator light or such. Well I’ve given it a couple of days, and it’s very odd ! 1, the engine at idle is smoother. Not what I expected. 2, the gearchange points are different. Changes up earlier in lower gears. 3. the problem of the cold start high idle sometimes not working appears fixed. 4, the exhaust pops and bangs appear reduced and quieter. YMMV buts that’s what I found. Thinking out loud.. I wonder if they also blocked OBD tuning with this update? New private key maybe? Last edited by Wiggis; 03-07-2019 at 06:00 PM. Did you have you ECU updated previously, or was your ECU still running the same software it came from the factory with? Original factory settings in my case. I purchased the vehicle in February of 2018. Pure speculation on my part, but I'm wondering if this is just the same software update that others have already done. Maybe they are now just doing it to all the older cars that have yet to be updated. 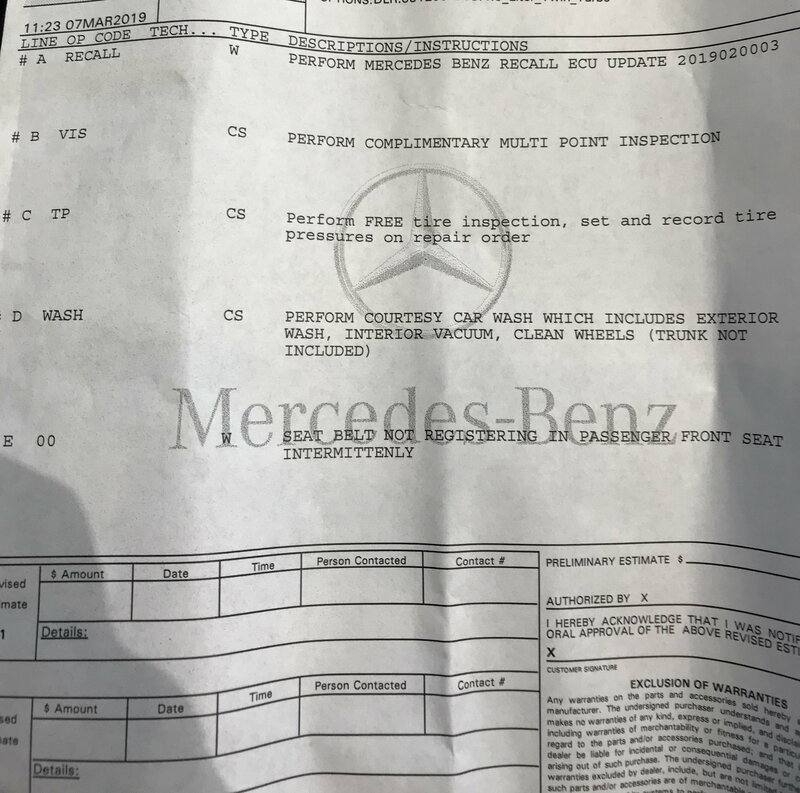 Reason I say that is because my '15 C63S sedan had the ECU update done last year, and there were no recalls/campaigns needed when it was in for service late last week. Then what do you and the 'others' have to report? Any difference noted? After looking over my warranty history with the service writer, I had my ecu updated twice already October being the last time right before I bought it. This is a new update/recall. I just called my dealer (in Toronto, Canada). They said no outstanding recalls. I also got the Exhaust/Transmission ECU update done in November 2017. Weird. Did they look it up by your vin? Mine was in last week to try to diagnose an issue I've been having. He looked for updates before doing anything else, and there weren't any for my car either. Yes, they have my VIN on file because I've serviced my car there before. She said there's no recall outstanding. I ran across a thread about software updates and the consistency or lack thereof with respect to dealers installing them. Just do a search. The fact is that I have a one year/old 2018 C63s AMG coupe that received an update of the engine management software a couple of days ago during a r-o-u-t-i-n-e 10,000 mile service and it profoundly affected the way transmission shifts - smoother, quicker and lower down in the rpm range. How can I be the only one? Even though it says recall on the bill it might not be an official mandated recall and just a software update on your next scheduled maintenance. I would ask for the software update and see if what you have on your car currently matches the latest one available. Give them the number to reference it in the bill in this thread. I don't see this as an official recall on any website. As I said earlier, my '15 sedan was in last week for diagnostics for an unrelated issue. I spoke to the head mechanic about all he did, and one of the first things was to look for any ECU/TCU updates available. None were available. My last update was done May/June 2018. Strange. The service writer knew exactly what recall I was talking about as I read the number from this post to him he finished reading the last half of the number to me. It was right on his computer screen when he pulled my vin. He also went over the other recalls that were performed since the car was put in service. Hmmmm idk that is weird. I would have given him the recall number as a reference maybe? It very well could be dealer to dealer variance and who knows how much mb is paying the dealership for the update which takes about an hour ina bay lol. I had an ecu update in October and yesterday for my 2016 as well so it’s definitely not a one off deal. I have noticed smoother, quicker shifts lower in the rpm range (throttle dependent) and the car idles smoother/quieter as well in s mode. Pops and crackles seem to be the same in s+ as my last software, but I only briefly tested it and haven’t played with it too much yet. Last edited by gOt BoOsT; 03-08-2019 at 06:18 PM. So I stopped by the dealer this morning to check on my car. I asked my service advisor to look up the description of the Campaign. 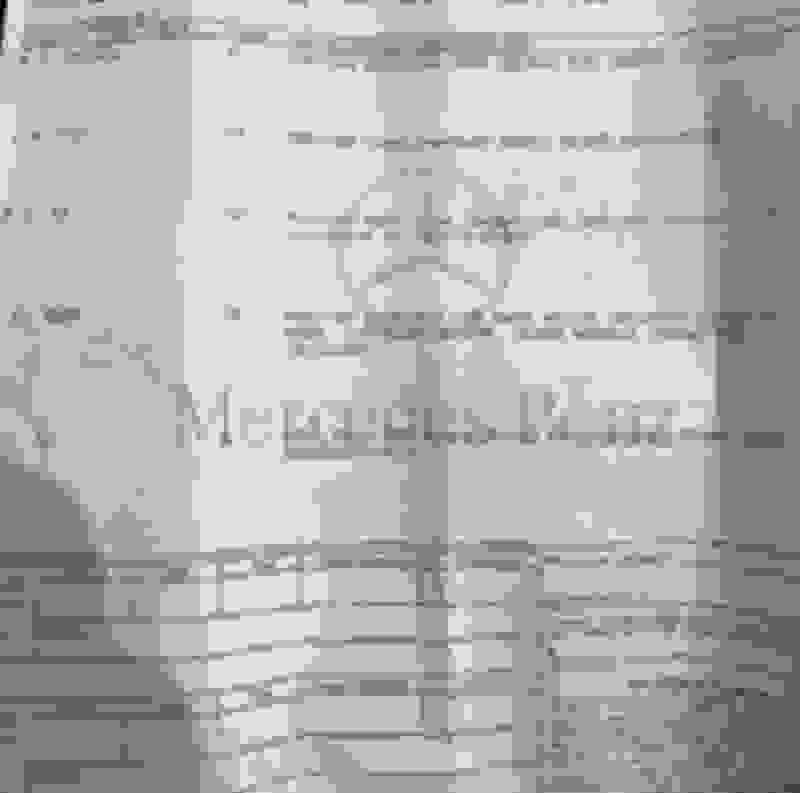 He couldn't print it but read it off his screen. The description said it was to correct a false fuel system reading which may cause the engine light to illuminate. There was no mention of changes to engine or transmission performance. I guess I'll have to wait to get my car back to see if I observe the same as others have. I ran a VMI report in October 2018 and all campaigns were complete. This is the first campaign since then. Quick Reply: Engine Recall 4911 ?